To get things started we need to understand everyone has a different definition of boon-docking. I rate boon-docking synonymous with 'dry-camping' or camping without hookups. Some people will say you cannot boon-dock in a public location, and that is instead called 'stealth camping.' I personally would agree normally, but when you are driving a 34 foot class A motor home with articulating solar panels on the roof, you cannot claim to be stealth camping. So for lack of a better term we have been boon-docking. The boon-docking schedule revolves around the sun. Which is the way the rest of the solar-system revolves too. In the morning you are operating on what ever power you have left from the night before. That means until things get bright there is no TV, no work, no internet. The stove is propane so we make our breakfast, coffee and check the weather with the phone. If we still haven't received the glories of the sun's rays then we can start and run the generator, or we can operate of whatever battery power we have left. Things change once we get things charging. The Sun can easily power the charge of our work devices the wattage is highest not normal operating ranges. Even just the fewest rays can get over 200 watts on my rig and that is enough to sustain everything we've talked about. There are penalties for running all of the equipment. Now that we know what we have to power, how do we find a spot? The requirements for a good spot are a clear southern sky and a relatively flat parking space. If there is an empty field to drain off grey water that's good, a dumpster is a feature as well. For Stephanie and I we have to consider areas to walk the dogs and dumpsters are more important for us since we really don't want to pack out doggy waste. Stephanie and I also look for a good free WiFi source. Amazing candidates are Starbucks, Woods Coffee, McDonald's and public libraries. Before searching with either method you have to do some research. Any city should have a public copy of their municipal code. The link is an example, and you can generally find the section you want under "vehicles" then look under "parking." There are two general things you're looking for: how long an unmarked parking spot is good for; and if there are city ordinances against staying in your recreational vehicle. The ordinances against camping can be worded confusedly, in the case of Burlington, WA (linked above) you cannot stay in your RV at all.... unless its for a period under 7 days. Not very direct. In North Washington we generally see 24 hours or 72 hours on parking duration. That's how long you can park on PUBLIC property without a violation. NEVER EVER STAY IN CITY PARKS PARKING LOTS, it never works out, ever. This isn't a personal experience but all the research with municipal codes and other's experiences online basically indicates this is a noob mistake. Good news is parking lots are plentiful in America. Bad news is that parking lots are generally not considered public property, which means that if the owner of the property takes offense they can just call a tow truck, unless you are a customer of that business. Bottom line is know the law before you try and stay somewhere. A note or two on lot selection. When you stay in a parking/empty lot you are at the mercy of the property owner. This makes picking the right lot really important for staying uninhibited. 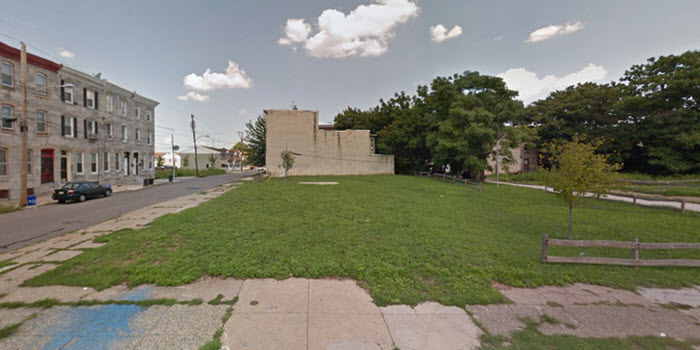 Empty lots have the drawback that if law enforcement comes around they KNOW what you are doing. If its part of their instructions they will knock on your door and question you. Remember there are stereotypes of drug abusers living out of a van 'on the road.' Some people will tell you just don't answer the door, but remember I have animals, and I'm in an RV not a van. So if someone is knocking on my door I'm personally going to answer. I would rather move the vehicle then risk someone calling a tow truck and impounding my home. We have had really good nights in empty lots, but I'm sure its a matter of time till someone cares and we get a late night visit. Parking lots are a little better to overnight in. Parking lots can pose risk too, if you go to the wrong type. Single business parking lots are NOT desirable, go to a lot with multiple businesses. This generally means that there is a land lord/management company and they won't physically be at the location so you can probably stay quietly for a night, maybe two. The small business owners within are not going to call tow towers on you for parking in a large lot as long as you're not there for days, and as long as you are using one or more businesses in the lot. The business manager won't know if your a customer of one of the other businesses unless its a smaller mini-mall, stick to the grocery store size parking lots or bigger. There is a parking lot class that is too big.... Malls. They are usually patrolled by security and that makes them a pain late at night, during the day you probably can stay without issue. For a working example of putting this all together: when we stop by a Starbucks and plan on using their WiFi I am definitely buying a coffee and pastry. $10 bucks for a lit parking spot with WiFi!!! yes please! Or if we need to go grocery store, then we park in their lot, perhaps go to dinner at a restaurant in the same shopping center. Keep your receipts, if you are questioned about why you're there showing that you are a customer can go a long way. There are also some businesses that are RV friendly, casinos and Walmart come to mind. WiFi can be hit or miss at casinos since they want you inside, but Walmart has had good WiFi in their stores, and it often reaches to their lot. As always: observe the posted signs in the lot, and the laws of the local city. I have a methodical way of locating a spot, and then I have a random method. Let's go over the crazy method first. So if you know the areas you want to stay in and are willing to make a day trip to all those areas it is rather straight forward to figure things out. Go to the area and drive around. Take notes: look at sun position, amount of traffic and access to some of the other 'amenities' we discussed earlier. This method is fun, and gives you the best straightforward information. The crazy method is in summation: reconnaissance. This method produces less possible spots than driving around, so we need to know what the conditions will be like when we are in spots. Fire up weather underground and drop in the city your going to be at. If you don't have solar or it will be a very overcast day you will need to run a generator. Generators are annoying at best, at worst they result in tow-trucks/police being called. I don't like to use a generator in parking lots unless its after everything in the area has closed. To avoid detection you can run off of batteries with low power consumption or you can find an alley/street in an industrial area. Industrial areas are usually accustomed to generators/machinery running. Industrial areas also usually close long before retail and dinning businesses do, which renders them better for parking in the evening. The flip side is that industrial areas rarely have free WiFi. If you power up google maps and start looking around the city you will be able to find retail and industrial areas very quickly the large buildings and parking lots stand out among housing, parks and fields that are usually around municipal areas. I found the map above while looking for places NEAR Whatcom County Park. I use google maps to check the nearby businesses hours and look for parking spots that let me expose the right side of the RV to a southern sky. (look for the shadows on the overhead view) The best parts of this particular industrial park are, all the businesses except the distillery are closed on the weekend and their are no houses nearby to object to the generator if i need to run it. Notice the park is a short walk to the east. This is my targeted parking spot for tonight. Now ill check for WiFi on the WiFi-Map application. WiFi isn't needed tonight, but it would be nice. The McDonald's in the corner of the map would have WiFi, but the highway in between the parking lot virtually guarantees that even with my awesome set up I won't be able to get a connection. If it was a 'work' day parking in these lots would be a little suspicious. I might plan two stops one during the day at a coffee shop parking lot to capture their WiFi signal; then move to this location after most of the businesses closed. Today is Saturday, nothing is open, so we are going to enjoy the park as our day activity. The best practice would be to drive out in our car and scout... but I feel lucky. There you go, there is my method to finding parking spots with the internet. Its not perfect but it works pretty darn well.